HomeEnabling the angels of death? Enabling the angels of death? Draft voluntary euthanasia legislation, called the Voluntary Assisted Dying Bill 2017 (NSW) has been released for public comment. Drafted by a cross-Parliamentary working group, it may be the closest contender yet for the legalisation of assistance-in-dying for people living in NSW who are suffering from a terminal disease. A short summary of the Bill appears further below. Australians have not had lawful access to assisted dying since 1997, when the Euthanasia Laws Act 1997 (Cth) [introduced as a private member’s Bill by Kevin Andrews MP, with the assistance of the Howard government] overturned the Northern Territory’s brief, 8 month experiment with euthanasia – the Rights of the Terminally Ill Act 1995. Relying on the plenary legislative power of the Commonwealth to make laws for the Territories, the Euthanasia Laws Act withdrew from the NT and ACT the power to make laws with respect to assisted dying. The Act was a victory for conservative political forces in Australia. Since that time, despite polls suggesting that most Australians favour legalising a right for those suffering a terminal illness to die with medical assistance, all the voluntary euthanasia Bills introduced into State Parliaments have failed. The legalisation of assisted dying may suffer from the reality that although a majority of the population support it, those who oppose it are deeply committed opponents for whom the issue is a vote-changer. This makes the passage of laws that might have majority support a net vote loser. Another explanation is that Australians, or at least their elected representatives, are far less progressive than right-to-die advocates would like to believe. Will the Voluntary Assisted Dying Bill 2017 give legal cover to those “angels of death” who up to now have provided their assistance informally, in the “euthanasia underground”? The Bill would authorise a 25 year-old, ordinarily present in NSW, to request their primary medical practitioner for assistance to end their life in circumstances where that person (the patient) has been informed by their primary medical practitioner that the patient is suffering from a terminal illness, and where the patient is experiencing severe pain, suffering or physical incapacity that is unacceptable to the patient (cl 4). The request for assistance must be in writing (see below), and the patient may rescind their request at any time (cl 5). Assistance may take the form of prescribing and preparing a (lethal) substance for self-administration by the patient, or may involve the direct administration of the substance to the patient when the patient is physically incapable of self-administering it (cl 3). A medical practitioner may only provide assistance with substances identified in the Regulations as “authorised substances”, presumably because of their reliable euthanatic properties (cl 10). The patient’s primary medical practitioner is not obliged to provide assistance (cl 6), and the patient may, in writing or by means of an audio-visual record, nominate a third party, who must be at least 18 years old, to provide the assistance (cl 7). A number of requirements must be met before the assistance can be provided. The patient must be examined by their primary medical practitioner, and by an independent, secondary medical practitioner who must be registered “in a specialty of the medical profession that is relevant to the patient’s diagnosis or treatment of the terminal illness from which the patient is suffering” (cl 14(3)(a)). The specialist must not be “closely associated” with the primary medical practitioner, ie the former must not be a close relative, employee, or member of the same medical practice as the latter (cl 14(3)(b)). In addition, the specialist must not be a close relative of the patient (cl 14(3)(c)). Conflict of interest provisions also apply. A person (that is, any person) must not promise any financial benefit to the primary medical practitioner, and the primary medical practitioner must not accept any financial benefit in return for providing assistance to the patient, other than reasonable payment for medical services (cl 12). It seems difficult for the primary medical practitioner to be a close relative of the patient, or the former would fail the conflict of interest provisions by virtue of receiving a financial benefit through inheritance (cl 11(a)). The patient’s request for assistance must be confirmed by the patient after the primary medical practitioner has examined the patient and indicated the likely course of the patient’s illness, and treatment options, including palliative care, counselling and psychiatric support (cl 15). Next, the patient must be examined by an independent psychiatrist or psychologist who must provide a written report to the primary medical practitioner and specialist which confirms that the patient is of sound mind and has made a free and voluntary decision (cl 16). The primary medical practitioner must not provide assistance unless they have examined the patient and formed the medical opinion that the patient is suffering from a “terminal illness” (ie an illness that in reasonable medical judgment will cause death within 12 months) that is causing “severe pain, suffering or physical incapacity to an extent unacceptable to the patient” (cl 17). The primary medical practitioner must also believe that there is no cure, and that the only treatment reasonably available to the patient is the relief of pain and suffering (ie palliative care). The primary medical practitioner must also believe that the patient has considered the impact of the assisted death on the patient’s spouse or de-facto partner or family. The specialist must also confirm these assessments in a written statement provided to the primary medical practitioner (cl 17). A patient who requests assistance in dying must also fill out a request certificate. The Bill envisages an initial request made by the patient, followed by a period of not less than 7 days, before the patient signs the request certificate (c. 18). If the patient is physically unable to sign the certificate, the certificate may take the form of an audio-visual record of the patient reading the patient’s declaration in the certificate; however, the primary medical practitioner must be present during the signing and must also sign a declaration on the request certificate. The specialist must also sign the certificate (cl 18). A cooling off period applies after the patient requests assistance: this disentitles the primary medical practitioner from providing assistance for at least 48 hours after the request certificate was completed (cl 8). The Bill also requires an interpreter to become involved if the patient is unable to communicate fluently, in any language, with the two medical practitioners and the psychiatrist or psychologist (cl 19). The Bill provides a mechanism for close relatives to apply to the Supreme Court and for the Court to invalidate the request certificate if statutory requirements are not met. Grounds for invalidating the certificate include a finding that the patient was not suffering from a terminal illness, or was not of sound mind at the time they made the initial request for assistance and signed the request certificate. The Court may also inquire into whether or not the patient’s decision was made freely and voluntarily after due consideration, and whether or not the patient’s capacity was adversely affected by his or her state of mind (cl 21). The Supreme Court’s jurisdiction, which includes its parens patriae jurisdiction, is not affected by the Bill (cl 23). The Bill gives health care providers and any other person a right not to participate in providing the patient with assistance to end their life (cl 24). Unlike Victoria’s abortion legislation, a medical practitioner or other person with a conscientious objection to assisted dying is not obliged to refer a patient to a medical practitioner whom they know has no such scruples, although they are required to transfer a copy of the patient’s medical records to a new medical practitioner (cl 24). A “protected person” is not criminally or civilly liable (this includes liability in any disciplinary proceedings) for actions taken in good faith to participate in the provision of assistance to die in accordance with the Act. This includes administering a lethal substance, selling or preparing such a substance, and being present when the assistance is given (cl 25). A protected person means the primary medical practitioner or specialist, the psychiatrist or independent psychologist, a health care provider or nominee (cl 25). The Bill could further confirm this protection by extending it to the person who fills a prescription or prepares or compounds the substance that is intended to be used to assist the patient to die. The person who provides the substance may have no way of knowing whether the requirements of the Act have, in fact, been fulfilled. The Bill is not clear about where the drugs used in the assisted dying procedure will be sourced. Clause 25 does not refer specifically to administration or preparation of an “authorised” substance, although elsewhere the Bill requires only authorised substances to be used (cl 10). Immunity does not extend to dealings with “unused substance” except for the purposes of destruction (cl 25(5)). 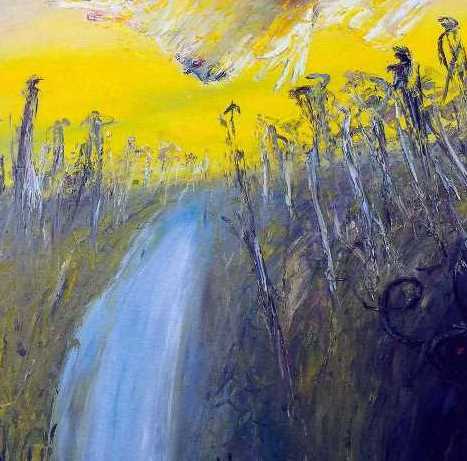 Twenty years ago, moral opposition to the Northern Territory’s euthanasia legislation was spear-headed by the Catholic and Anglican churches, whose record on human rights has since been subjected to scrutiny by the Royal Commission into Institutional Responses to Child Sexual Abuse. Despite this, the Bill is unlikely to escape the usual criticisms that are made of assisted dying legislation. These include the criticism that vulnerable patients will simply engage in doctor shopping until they find medical practitioners willing to give them what they want. Opponents argue that it would be better to improve the funding and technical capability of palliative care services, rather than authorising cheap alternatives to such care. Advocates for assisted dying point out that if palliative care could successfully reduce suffering to levels acceptable to patients, without sedating them into permanent unconsciousness, there would be no continuing drive for euthanasia. Opponents argue that legislation to deliver a right to die with assistance, while simultaneously protecting vulnerable people from potential abuse, is difficult if not impossible to achieve. For anyone who understands social processes the expansion of the circle of those who can be killed will come as no surprise. For once we agree to the principle of doctors performing voluntary euthanasia by what effort of societal will, on what rock of ethical principle, can we resist its extension to ever new categories of sufferers? There is no such will: no such fixed and reliable principle…The slippery slope…involves a subtle transformation of ethical sensibility. Over time we become blind to how we once thought [Robert Manne, “Life and death on the slippery slope” Quadrant, Vol 39, issue 7-8, July/Aug 1995, pp 2-3]. The debate goes round and round. The fate of the Voluntary Assisted Dying Bill remains hard to predict. Ultimately, however, the decision will lie with legislators – human beings voting on the basis of their conscience and sense of what is right and decent. It is not a poll. Are you interested in studying health law? Sydney Law School’s Graduate Diploma in Health Law, and Master of Health Law are open to both lawyers and non-lawyers. Professor Cameron Stewart teaches “Death Law” within the Master of Health Law program. 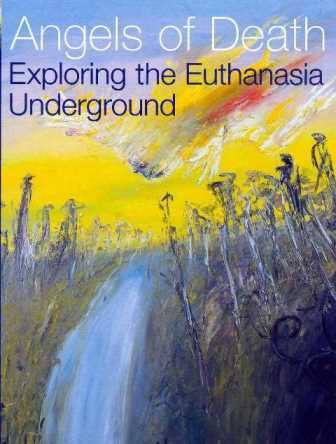 Professor Roger Magnusson wrote Angels of Death: Exploring the Euthanasia Underground, published by Melbourne University Press in 2002. Whilst I applaud this latest effort to legislate for voluntary euthanasia, the pre-requisites made me cringe. Red tape by the mile to protect every man and his dog, apparently. Sadly, even this constrained version of human rights will probably not pass into law. Our politicians lack the intestinal fortitude to do anything truly compassionate.